Abu Dhabi National Energy Company (Taqa), a leading global energy company, has reported an increase of 148 per cent in profit attributable to equity holders to Dh396 million ($108 million) in 2018. The strong results were driven by increased oil prices in Europe and backed by a solid performance delivered by Taqa’s power and water division throughout 2018, a company statement said. Taqa also recorded an increase in its revenues by 6 per cent compared to the same period in 2017 on the back of the company’s full-year oil and gas production in Iraq versus 6months of production the previous year which positively impacted the oil and gas business. Saeed Mubarak Al-Hajeri, Taqa’s chairman, said: "I am delighted that the results of the year 2018 show great progress on our path toward becoming a globally recognized energy and water provider. Taqa finished 2018 on a high note and delivered strong overall revenues, driven by a clear vision and unequivocal commitment of our management." On the operational side, Taqa’s power and water division showcased strong operational performance with gross power generation production of 89,922 GWh and 246,556 MIG of gross water desalination. 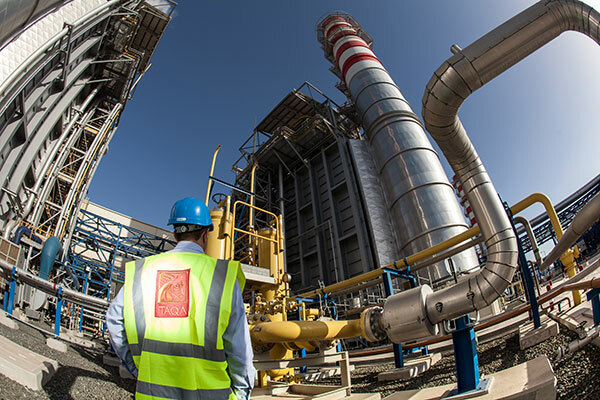 Technical availability of power plants increased to 93.1 per cent in 2018, up from 92.1 per cent in 2017, mainly resulting from Taqa’s stable operational performance in the UAE and in Africa. In 2018, Taqa’s independent water and power plants produced 85 per cent of the power and 95 per cent of the water consumed in the Emirate of Abu Dhabi.